Win Surprises in Surprise Me This Christmas Giveaway! Who wants surprises? I’m sure you do! I actually planned this giveaway before my birthday last month to start right away after my birthday but I am really preoccupied. It is the first day of December so let’s begin December with a big bang of surprises. The Surprise Me This Christmas Giveaway is my post-birthday and pre-Christmas giveaway for my readers, fellow bloggers, and friends. 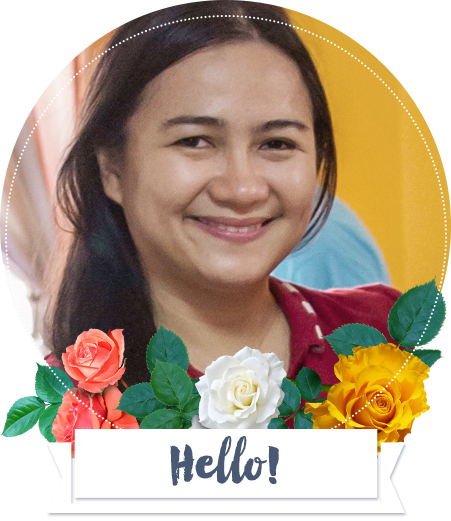 This is my way of giving thanks and extending my Christmas greetings to everyone. Let’s get it started! I make this giveaway easy so that many can join. I will be needing some of your inputs and details that is why I use a rafflecopter. My readers who are Filipino with a valid Philippine Shipping address. My fellow bloggers with a valid Philippine Shipping address. My readers or bloggers from other other countries who has a paypal ID. What are the surprise gifts in the giveaway? A total of 10 gifts. When is the draw date? Since this is a surprise me this Christmas giveaway, I may pick winners anytime until December 16, 2014. It will be a surprise! I will be announcing the winners in my facebook fan page, twitter, and instagram. As much as possible, winners should reply to my notification that they’ve won within two days so that I can process the shipping of their surprise gifts before Christmas. 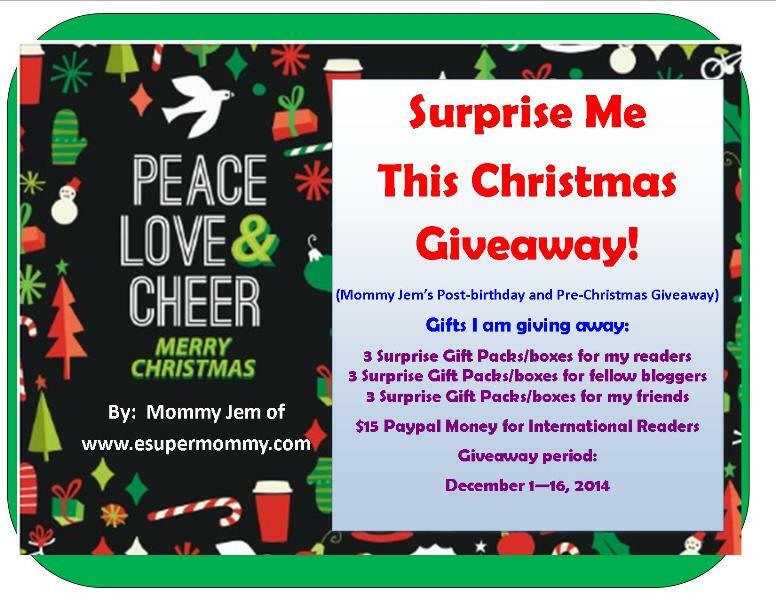 Join Now in Surprise Me This Christmas Giveaway! Please enter your details in the rafflecopter below. Thank you so much for supporting my blog and for joining! Good Luck! I have kids 9 and 13 y/o!